“Bestselling author of the critically acclaimed Feast of Fates, Christian A. Brown received a Kirkus star in 2014 for the first novel in his genre-changing Four Feasts Till Darkness series. He has appeared on Newstalk 1010, AM640, Daytime Rogers, and Get Bold Today with LeGrande Green. 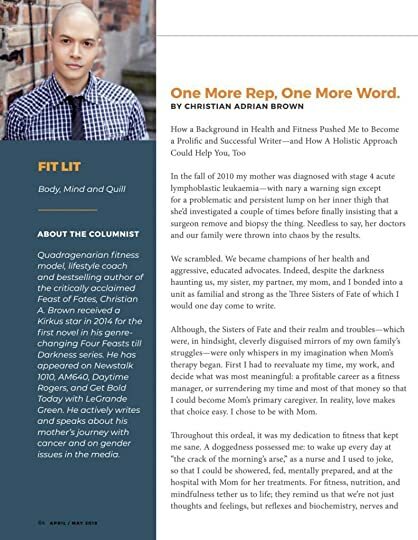 He actively writes a blog about his mother’s journey with cancer and on gender issues in the media. A lover of the weird and wonderful, Brown considers himself an eccentric with a talent for cat-whispering." To ask Christian A. Brown questions, please sign up. I am currently reading Feast Of Fates and enjoying every word of it. 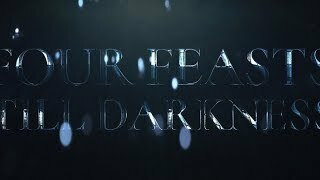 Would you be willing to share the name of the second book in the Four Feasts Til Darkness series? I am looking forward to its release and all of the future books in this series! This answer contains spoilers… (view spoiler)[ First off, I am incredibly excited to have made a fan for Morigan, the Wolf, and their companions. As you may have guessed, Deborah, FFTD will be a…more First off, I am incredibly excited to have made a fan for Morigan, the Wolf, and their companions. As you may have guessed, Deborah, FFTD will be a quadrology. (Couldn't fit this story-arc all into a trilogy, and three more books, in two separate arcs planned for later.) Anyway, each book in the first four novels will be titled a "Feast of" something. Since the second manuscript is complete and should be out in the next 4-6 months, and I like a bit of mystery, I'll drop you a few hints!